Children, like adults, can experience “the blues”. For reasons unknown, all of us may feel sad, depressed and not like ourselves at times. For older children, hormones may be surging so irritability and mood swings can happen when least expected. If you find that your child is displaying depression symptoms that don’t seem to go away after a couple weeks, interrupting normal activities for an extended period of time, it may be time to schedule an appointment with your doctor to find out if your child is clinically depressed. If your child is feeling depressed, it’s important to seek help and let them know that they didn’t do anything wrong. It’s also common for children to be diagnosed with depression and an anxiety disorder at the same time, based on research by the Anxiety and Depression Association of America, or ADAA. Typically, there are two types of depression. One is considered major depression and the other is called dysthymia. When major depression happens, it can last over two weeks and can occur more than once throughout your child’s life. Traumatic events can trigger depression in a child (or an adult). Dysthymia is not as severe but instead considered a chronic form of depression that can last for up to two years. When parents are depressed, their children are at a great risk for depression. Depression can affect people of all ages and genders, however; girls are more likely to develop depression during their adolescence years. Unfortunately, studies indicate that about 80 percent of kids with an anxiety disorder and 60 percent with depression are not getting treatment, and this can lead to suicidal thoughts. Treatments for depression and anxiety can often be treated comparably and at the same time. If you believe your child is depressed, it’s extremely important to get help and not ignore the symptoms. Most children, over time, find great success managing their symptoms after receiving professional guidance. 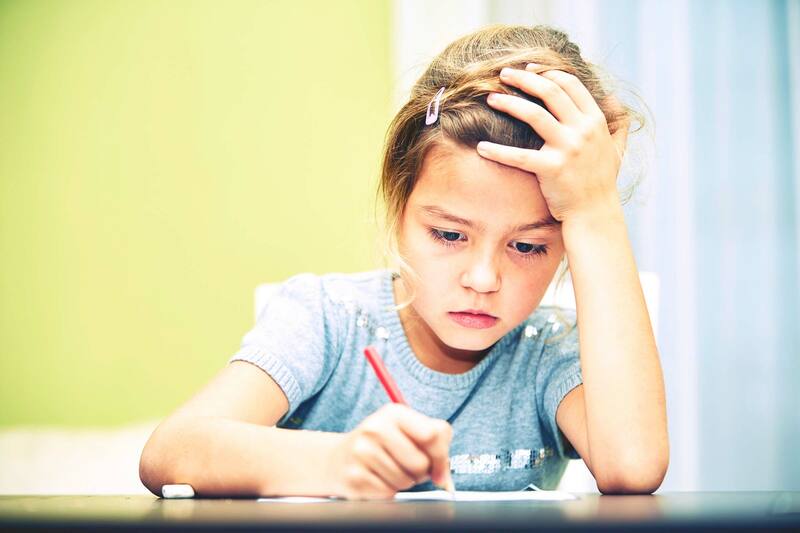 Two of the most effective treatment options for children with anxiety include cognitive-behavioral therapy (CBT) and medication. CBT is a “talk-therapy” that has been proven to treat depression and anxiety disorders. With this type of therapy, the child can use techniques to manage and reduce their anxiety with skills they’ve learned during their sessions. Skills learned include replacing negative thinking patterns with positive ones and learning the difference between “realistic” and “non-realistic” thoughts. CBT is generally a short-term treatment with sessions lasting about 3-4 months but the benefits learned from this type of therapy can be long-term. Another successful treatment includes medication. Prescription medications can be useful and used in conjunction with talk-therapy sessions. Research indicates that a combination of CBT and an antidepressant worked better for children ages 7-17 than either individual treatment used alone. The use of medication can be used short or long term, depending on the child’s symptoms and how well they improve using medication combined with therapy. Need more information about childhood depression, symptoms and treatments? The Association of Childcare Physicians can help. Rebecca Salah, MA, LCPC, has joined our office as a Licensed Clinical Professional Counselor. Ms. Salah has experience working with children and adults of all ages, specializing in areas including depression, anxiety, PTSD, grief, substance abuse and more. Learn more about Ms. Salah at http://childcarephysicians.com/about/ or call us to schedule an appointment at (618) 235-2111.